Here, we try to simplify for you the various laws and regulations on waste / recycling, which apply to any business. Producer is any person or corporate body which produces "Controlled Waste". such as PVC and uPVC window frames, guttering, batteries and many textiles. The Environmental Protection Act, 1990 introduced a framework for a Duty of Care in respect of Waste. The Landfill Regulation Act, 2002 followed, and under this act: the Duty of Care regulations came into force, in October, 2007. Pre-Treatment of waste. This means separating non-hazardous and non-liquid waste material (as in 'Controlled Waste') from residual waste which can not be recycled. It also includes segregation of the different types of material so that they are kept free from contamination by other materials or soiling. Only clean material can be recycled. Ensuring that the Waste is stored, transported and handled by people or businesses which are licensed to do so. Completion of a Waste Transfer Note. 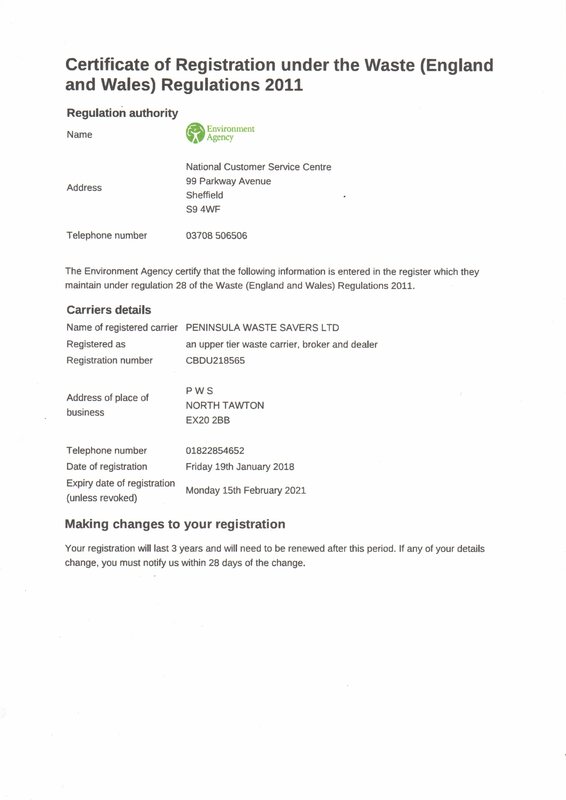 The new form of the Waste Transfer Note includes a requirement that the Producer certifies that they have complied with the Duty of Care provisions and applied the Waste Hierarchy. WTN's must be retained for at least two years. Disposal may only take place if none of the above are possible. It is important to note that you the Producer, are responsible for compliance with all the above provisions, from the outset, right through to the waste's final destination, even where you pass the responsibility to another party. The authorities advise that you carry out your own checks to ensure that full compliance is taking place: you are entitled to carry out site visits and audits to do this. The link below will give you more information. To meet, and exceed the requirements of Environmental legislation.